First of all, the screenshot that you are seeing IS NOT XBMC! 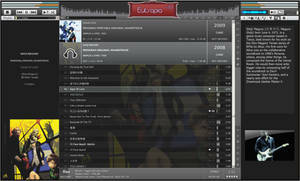 It is actually foobar2k! Designed purely using panel splitter and columns UI! Being both of XBMC and foobar2k, it has always been my wildest dream to have a HTPC full skin for foobar2k. I have tried HTPC full screen panel which is essentially a WSH Panel Mod but it didn't really come to my preference. 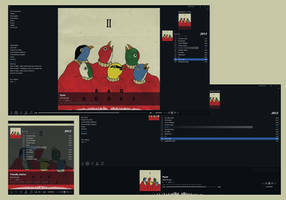 And I definitely like the HTPC skin in foobar2k much much much ... better! 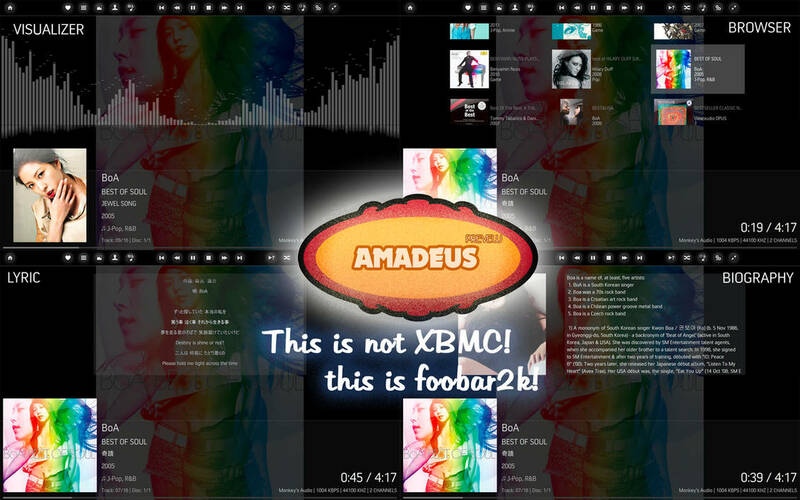 Since I manage all my musics using foobar2k and like to use custom tag, I find XBMC to not be suited for such job. 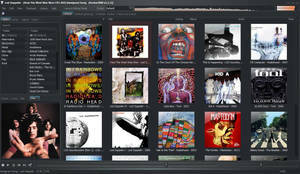 Main reason being that I had used foobar2k for such a long time to micromanage all my music. 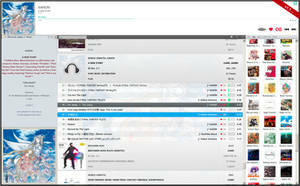 Another reason is I do not wish to import all my music AGAIN to another piece of software just to playback the music. Final reason being that I like to select the type of tag (display) that I wanted to view. Hence it is inevitable that the obvious choice is to design a skin for such purpose. Even I myself is happy with the final work! 1. 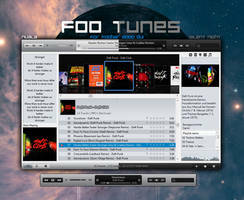 Download the latest foobar2k version. 2. 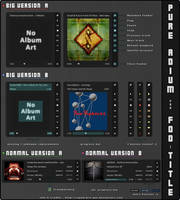 Replace all the files in the archive in the foobar2k installation directory. *Due to security concern that DeviantArt imposed for not allowing EXE files to be uploaded, I could not include the entire foobar2k installed as portable in the archive. Keyboard navigation. 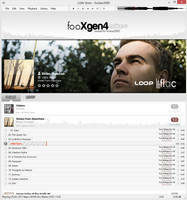 Actually this is not a feature implementable by this skin, but the core of foobar2k itself. 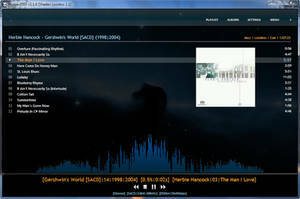 A huge thanks to XBMC for inspiring me to design this skin! 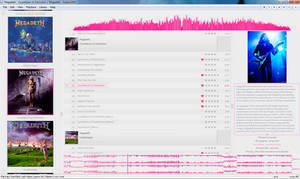 And of course to foobar2k for constantly being developed and improved!! I like the concept of this skin, and wonder if u have any recent skins that are similar to this? If you have a portable installation, simply don't put it in the Program Files or Program Files (x86) folder. Inside Program Files, you will need to start foobar via right-click > Run as Administrator each time you run it to avoid the internal error. I really like the idea. Are you still planning to release it or have you stopped working on this? It has been quite a long time since I login to my DA account. After fumbling through the files on my computer I decided to upload the long-forgotten work of this. Hope this will still work.